The Thermal Oxidation industry today continues to look to improved performance across a wide range of thermal systems. Fives is well positioned to address the needs with an emphasis on improved heat release and in handling multiple fuels. 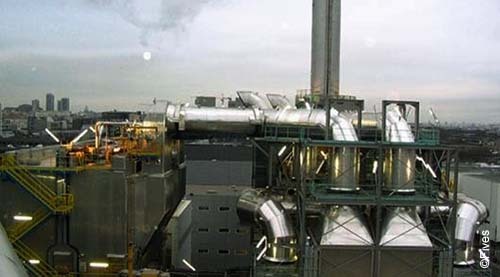 Industry today continues is focused on improving performance across a wide range of thermal systems spanning thermal oxidizers (regenerative, recuperative, direct, catalytic), fluid bed preheat and freeboard burner systems, multiple hearth furnaces; hazardous waste rotary kilns (PCC and SCC), soil remediation (direct and indirect), stationary bed, pathological, crematory, solid waste thermal oxidizers and stack re-heaters. Drivers today for improvement include high heat release in compact chambers, Ultra Low NOx and CO emissions, and multiple fuel capability (gas, oil, and waste fuels). Fives offers a wide range of superior solutions to address today’s driver , using latest technology to permit low Nox emission and fuel costs, whilst ensuring ultimate performance. Fives brings its expertise and services to supply tailor-made solutions and ensure an optimal performance and improved availability of the thermal oxidation process. Fives offers combustion systems ensure flame stability and a superior flame shaping ability which also provides when required low Nox emissions and increased fuel efficiency. Systems can used multiple-fuel burner platforms for waste fuels, adjustable heat release pattern, liquid waste atomizers (tip emulsion and full emulsion), packaged fuel trains per ANSI specs. Fives brings a full range of auxiliary systems such as blowers, atomizers, valves, regulators. To ensure performance and availability all along the process, Fives develops burner management and combustion control systems, hard wired logic, and Safety PLC logic.